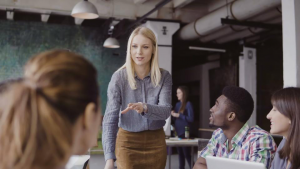 At a time when movements like #MeToo and Time’s Up have propelled gender equality in the workplace to the forefront of the national conversation, companies’ efforts to empower women are more important than ever before. And thankfully, it seems they’re more prevalent too. Chico’s FAS is in good company. L’Oréal USA’s 47% female board of directors helped boost the beauty brand into the top ranks alongside Deloitte, where a focus on leadership development for female employees is paying off: In 2016, 42% of all management promotions were awarded to women. IBM’s longstanding culture of inclusion fostered through career advancement programs has earned the tech giant a spot on NAFE’s list each year since its inception.